Now that the warm weather is upon us, we are considering ways to spend our vacations. While some prefer going to an exotic location, others have turned to more local destinations that offer a night under the stars with all the amenities and comfort of your own home. Some call it camping, but we all know that's a stretch. 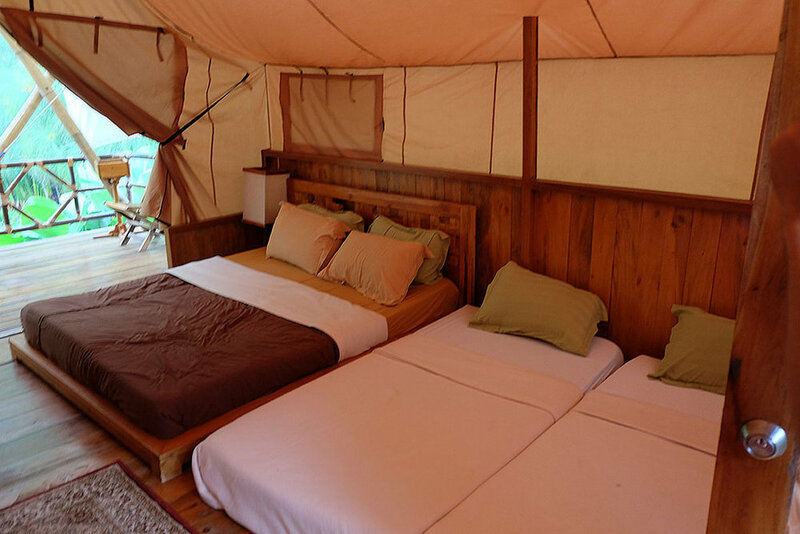 What we are talking about is the phenomenon known as 'glamping'. If you're unfamiliar with glamping, it's a trend that's intended for those that want to be connected to nature, but still want modern luxury. Tents are typically swapped out for shelters and sleeping bags for bed sheets. While you're not quite living in a cottage, you're thisclose to being in one. Today we are looking at 8 different glamping sites from around the world. While you can definitely see nature through the opened screened windows, having full amenities makes this site a more luxurious offering than a traditional tent. With this glamping pod you're not only secluded in the woods but also in a shelter created from the natural material. While the bed and furniture indicates a higher luxury, the canvas wrapping of the shelter gives the reminiscent feel of a tent. While this glamping pod is the closest we've come to resembling a tent, the interior diminishes the allure of 'tenting it'. In the pod is a double bed and cushioned carpet offer a more luxurious experience. While shaped similar to some of the other pods shown above, this pod is exceptional since it's not even trying to be within nature. The draw curtain entrance allows guests to feel closer to nature, while the half wood/half canvas walls offer the perfect balance between a cottage and a tent. While the pods aren't in the woods like most of the others we've shown, they are surrounding a general campsite and have woods located behind them. While the pods look small, each include free WIFI, a tv, fans, and a fridge. The pods also offer a double or two single beds depending on selection made. While the shelter resembles a tent, the modern luxuries throughout are telling us that this is definitely a "glamp site." In addition to having a large bed, this site also features a seating area with two chairs and an extended dining area that rests on the deck of the patio. While the exterior structure is a tent, the hardwood floor, furniture, and bedside lights reveal the glamping nature of the space. While the images shown above are demonstrative of the looseness of the term 'glamping' we understand that the travel to and from a place still may not be ideal for everyone. That's why we've gathered CADdrawings that will help you create your outdoor oasis within the comfort of your own backyard! Download the files by clicking here.